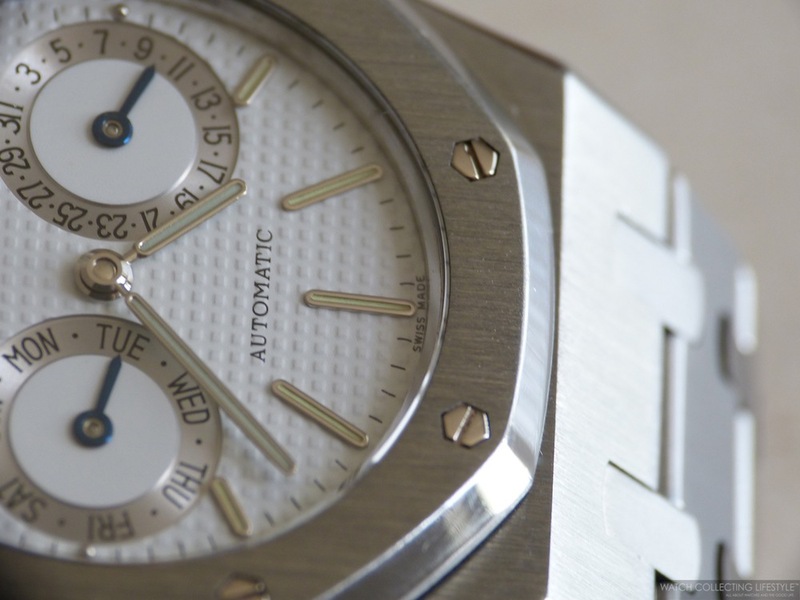 The discontinued Audemars Piguet Royal Oak Day & Date ref. 25572 —a.k.a. the 'Owl' among AP watchlifestylers because of the resemblance to the eyes of an owl— is one of the most beautiful Royal Oaks ever made. Originally launched in the early 1980s, this lovely 36 mm reference was discontinued in the early 1990s and later replaced by ref. 26330 fitted with a larger case measuring 39 mm —just like the Royal Oak Jumbo or the ref. 15300— and with a 'grande tapisserie' dial. While the original 'Owl' was available in stainless steel, stainless steel with 18K yellow gold and 18K yellow gold, its successor ref. 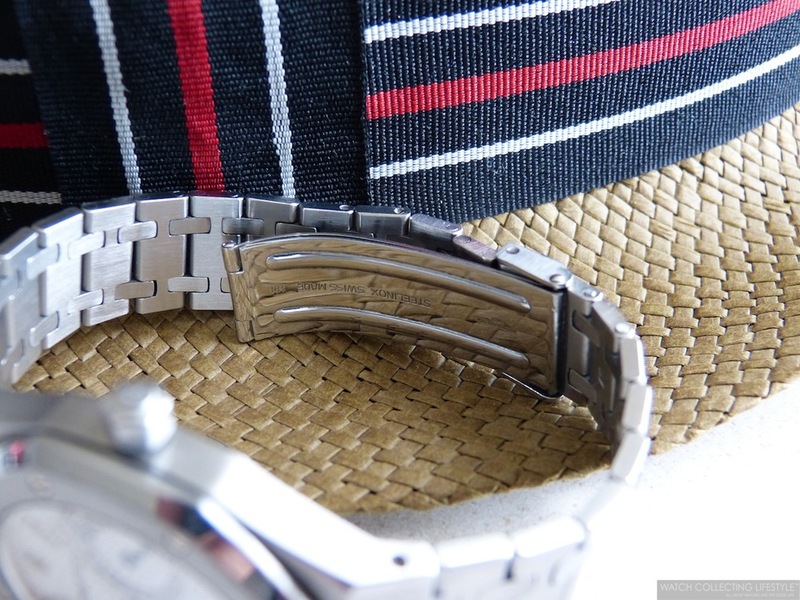 26330 is only available in stainless steel on a bracelet and in rose gold with a brown crocodile strap. The dial on this Royal Oak Day & Date ref. 25572ST still features the 'petite tapisserie' with an AP logo at 12 o'clock and anodized blue hands for the day and date indicators. Something really sad about this particular watch is that the owner made the terrible mistake of getting the original dial —a rare Tiffany & Co. dial— replaced with a new one. This early example of the Audemars Piguet Royal Oak Day & Date ref. 25572ST comes with a blade folding clasp like all Royal Oaks made between 1972 and the mid-80s. 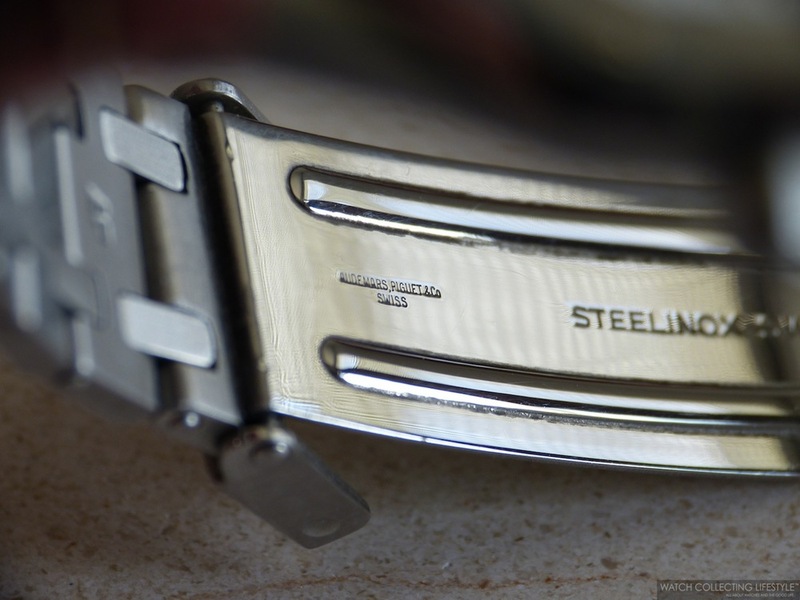 The clasp comes with the traditional flip-lock bearing the AP logo. Something we've noticed is that the clasp bears the code H11. 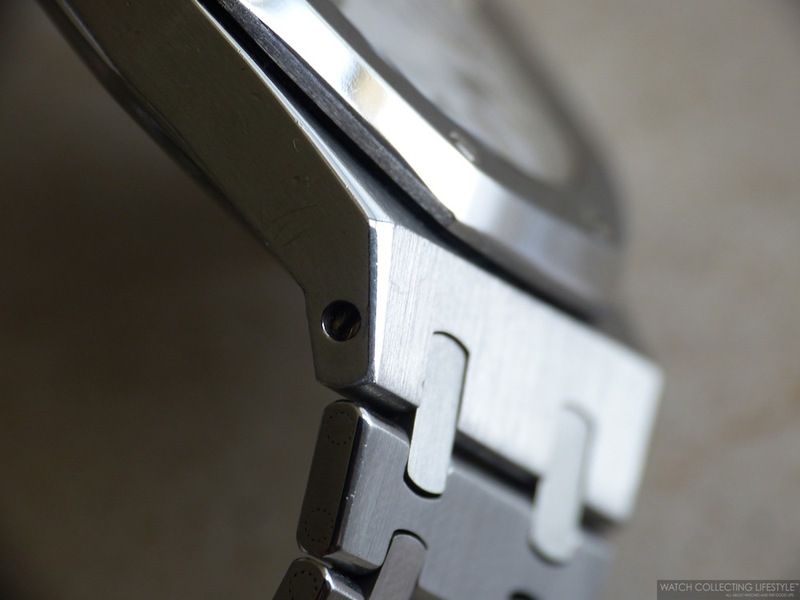 This letter code is typically not present on all other Royal Oak models with a blade folding clasp. 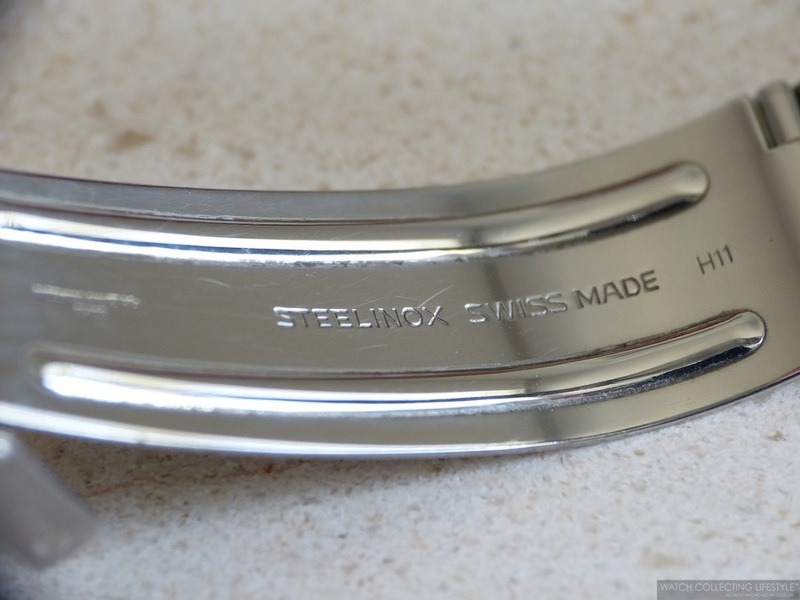 Also the back of some of the links on the bracelet are marked AP. Something worth mentioning is that the bracelet on older Royal Oaks —especially on those where the sides of the bracelet have been over-polished— will start showing the soldering marks where the pins where originally inserted while creating the bracelet. 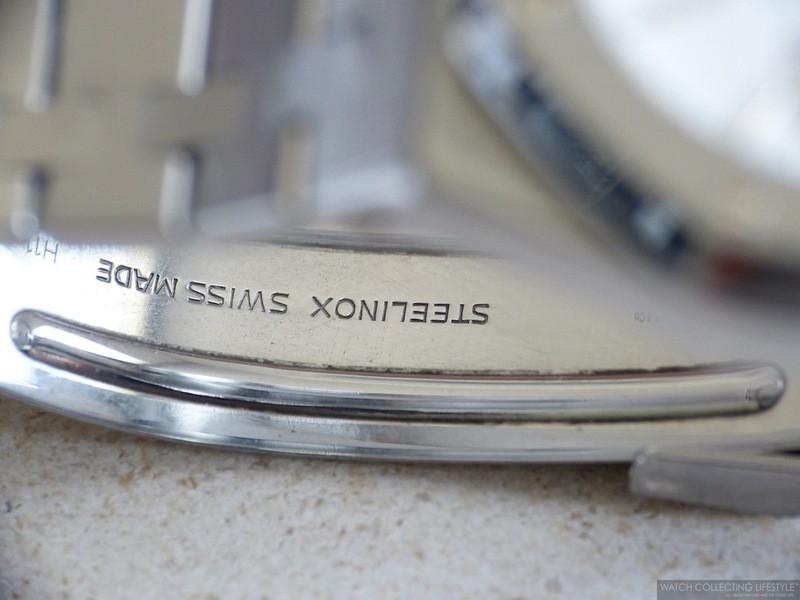 The movement inside this reference is the Audemars Piguet calibre 2124/2810. The first numbers refer to the calibre itself and the next four to the day-date module used on said movement. The case back on this Royal Oak, just like on all other Royal Oaks from the era is solid. All Royal Oaks up until 1999 used to have a monoblock case. The first Royal Oak models to be fitted with a display case back were the Royal Oak 'Time for the Trees Foundation' Limited Edition ref. 15100ST presented in 1999 and the Nick Faldo Limited Edition ref. 15190 presented in 2002. The Foundation was available in 500 pieces —450 in stainless steel and 50 in 18K yellow gold— and the Faldo had 450 pieces in stainless steel. 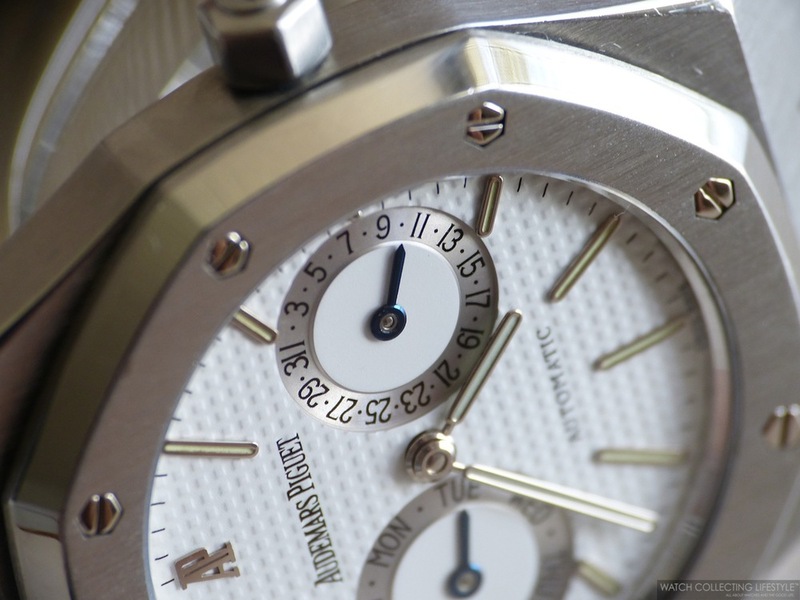 The watch comes with a screw-down crown that is marked with the AP logo; however, this model was originally fitted with an unmarked crown and the AP logo crown is a service replacement crown. The serial number on the case is under 300. If you are looking for a classic Royal Oak that very few own, then the 'Owl' ref. 25572 is a model that you definitely must have. Now, be prepared to spend a ton of time setting the day and the date on ref. 25572 as it is fitted with the rapid-advance feature but not with a quick-set mechanism. The rapid-advance feature lets you advance the calendar by going past midnight and then back to 10 pm as many times as necessary. Today, finding the original 'Owl' ref. 25572 in perfect condition is as hard as finding a needle in a haystack. If you like the 'Owl' as much as we do, you might be better off settling for a ref. 26330 and avoiding the headaches that might come with buying a vintage Royal Oak that might not be in the best mechanical shape. Current Sticker Price of the modern 'Owl' ref. 26330 $19,100 USD. For more info click here. Posted on July 19, 2013 by Editor & Publisher and filed under Audemars Piguet and tagged Royal Oak Date Day ref. 25572ST Audemars Piguet Royal Oak Date Day ref. 25572 Audemars Piguet Royal Oak Date Day ref. 26330 Audemars Piguet Royal Oak Owl Royal Oak 'Time for the Trees Foundation' Limited Edition ref. 15100ST Audemars Piguet Royal Oak Nick Faldo Limited Edition ref. 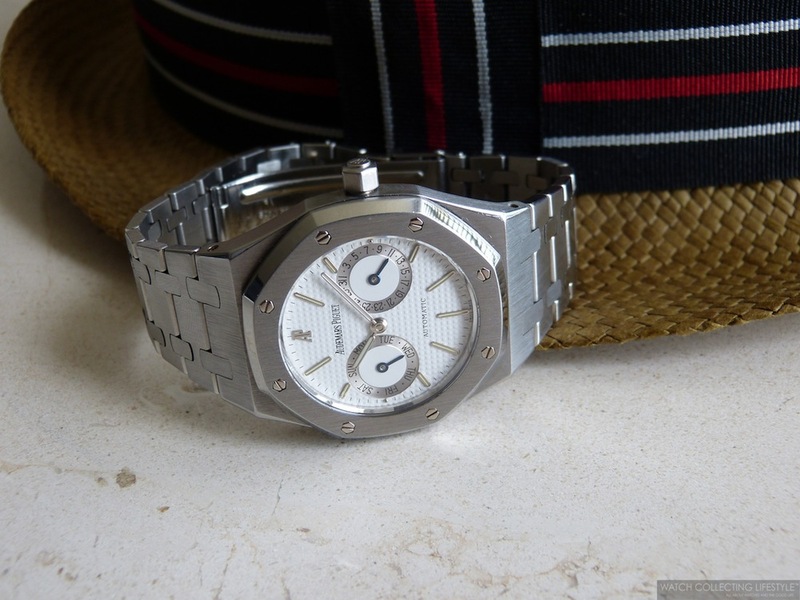 15190 Audemars Piguet Royal Oak Day & Date ref. 25572 Royal Oak Day & Date Royal Oak Day & Date ref. 26330 Posts 2013.